In my last post I wrote about a small boxed zipper pouch that I made from 40 x 1″ English paper pieced hexagons in liberty fabrics. 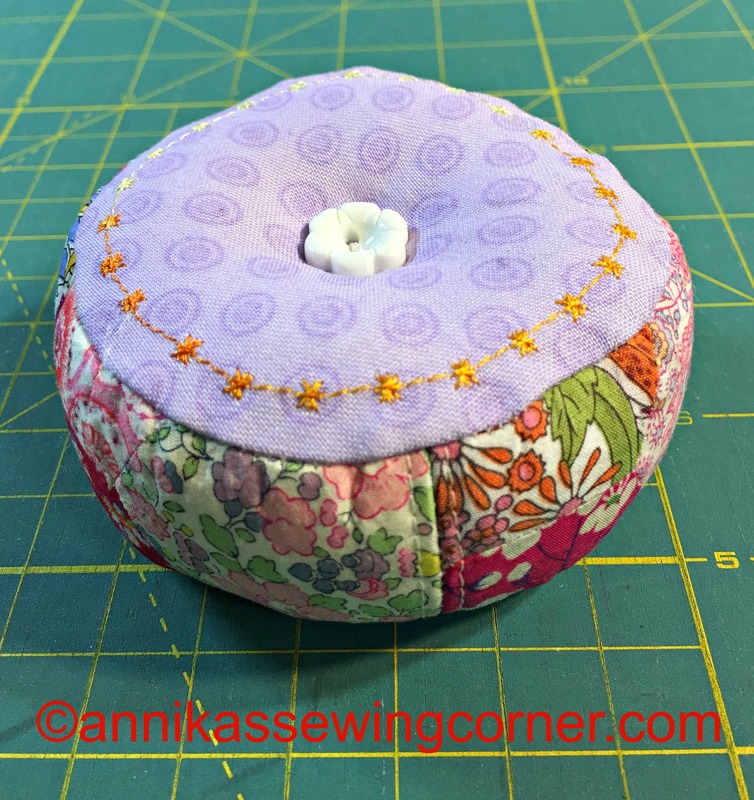 Well, I got a bit attached to my hexagons and didn’t want to waste the cut off corners from the zipper pouch so I made a pincushion with them and some of the left over lining fabric. 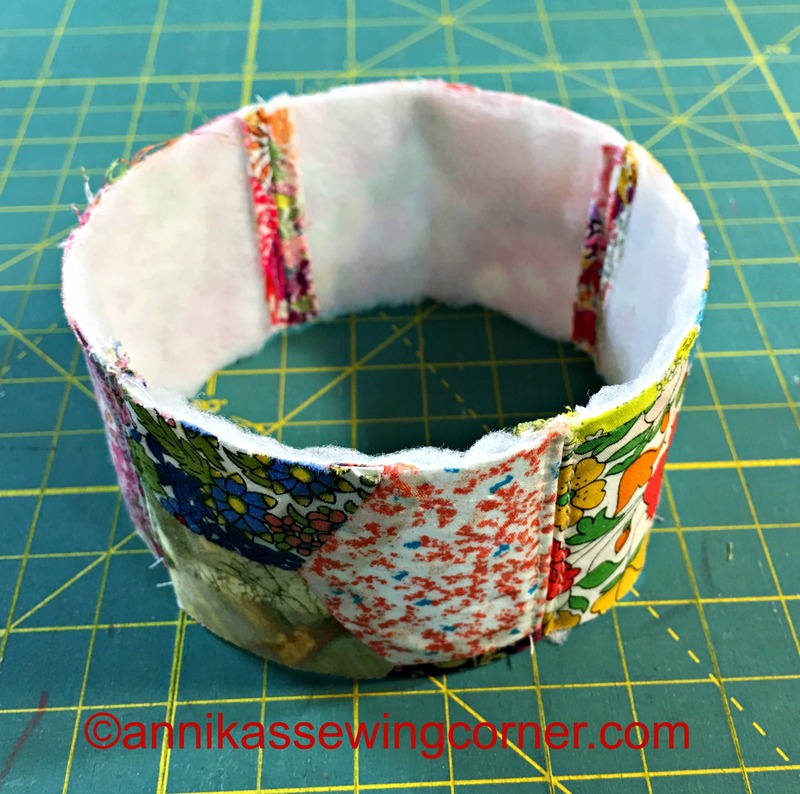 Since the back and front was in one piece the corners unfolded to 1 3/4″ x 3″. I stitched them together along the short edges in to a circle and also top stitched the seams. 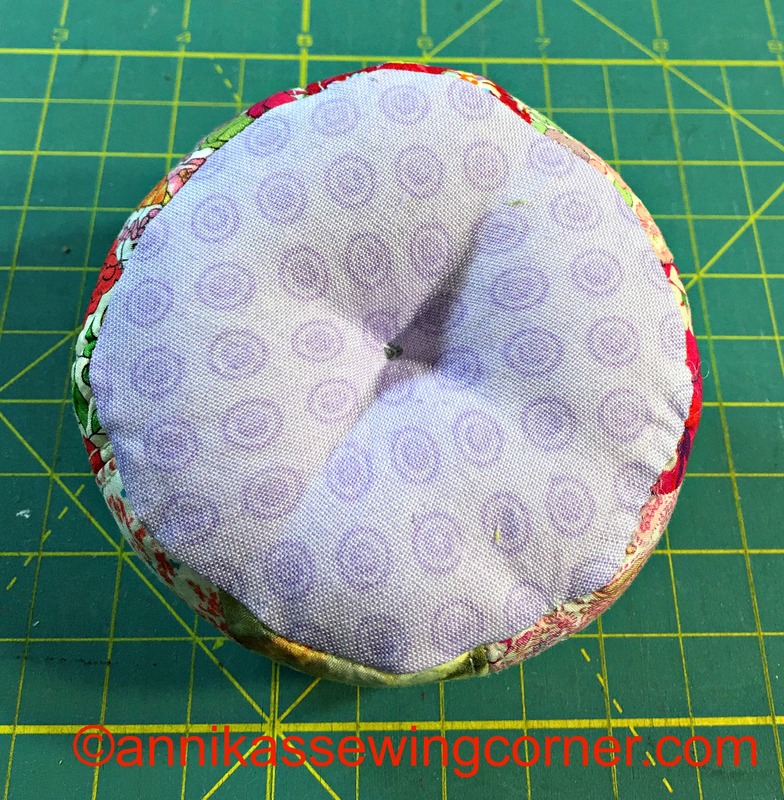 I cut two circles from the interfaced lining fabric, one for top and one for bottom of the pincushion. To get the right size of the circle measure the length of the pieced ring with a tape measure and divided it with 3.14 (π). Add a scant 1/2″ to that answer and you have the diameter of the circle. Find a cup or bowl or use a compass to make the right size circle. In my case the pieced ring measured 10″, 10/3.14 is 3.18, which is close to 3 1/4″, add 3/8″ and the measurement is 10 5/8″. 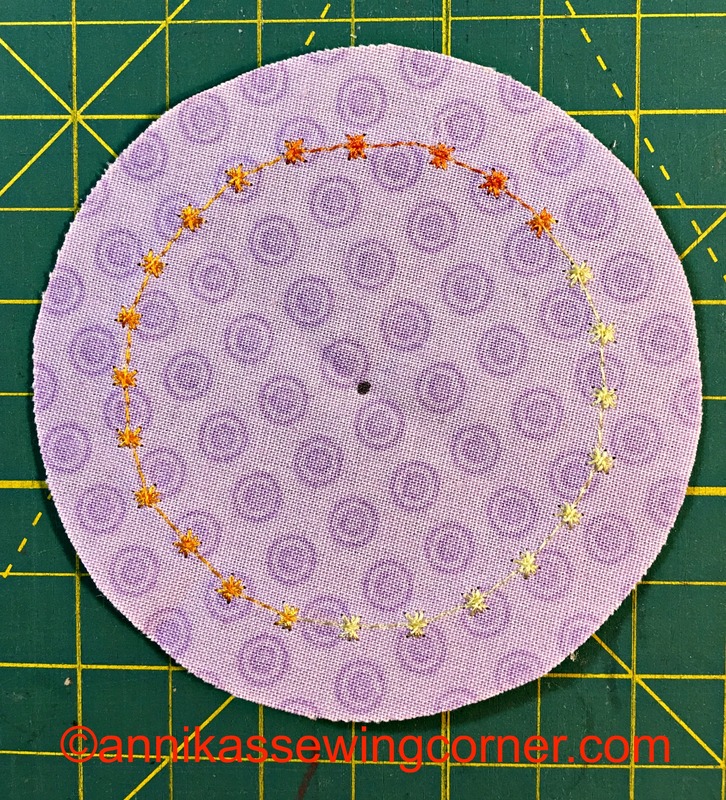 I stitched a row of small flowers with variegated thread about 1/2″ from the edge on one of the circles. I just wanted to try some of my decorative stitches and machine embroidery thread. Mark the middle of the circles and quarters along the edges by folding it twice and finger press. Pin the quarter marks to the seams on the pieced ring, right sides together, put some more pins in and stitch. Trim the seam allowance with pinking shears or cut out small triangles with small scissors to avoid bulk. Repeat with the other circle but leave a 1″-2″opening on the bottom. Turn to the right side through that opening. Fill with batting/toy fill and slip stitch the opening closed by hand. 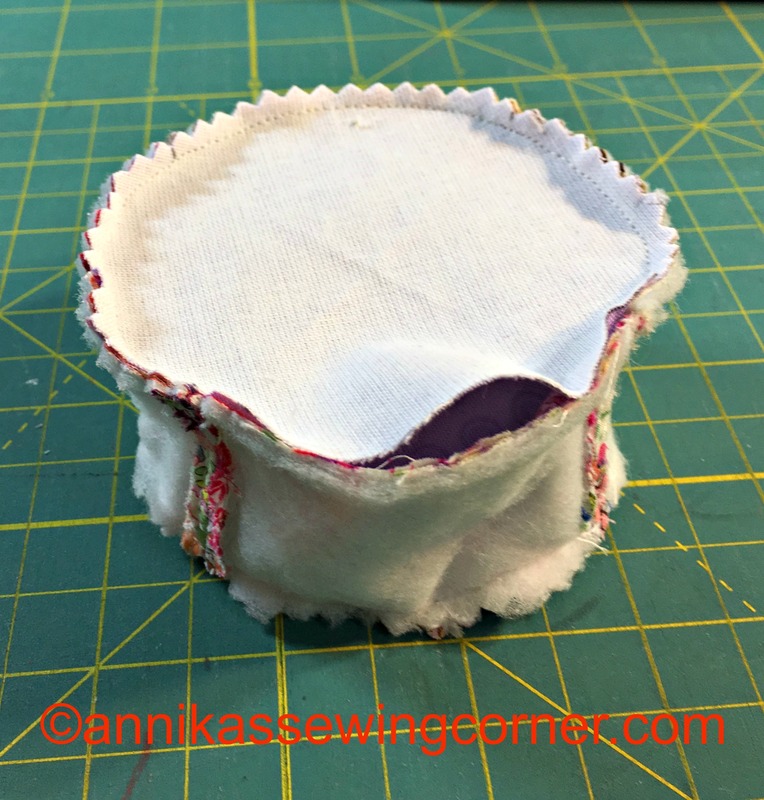 Use a long needle and embroidery thread to attach a button to the top. 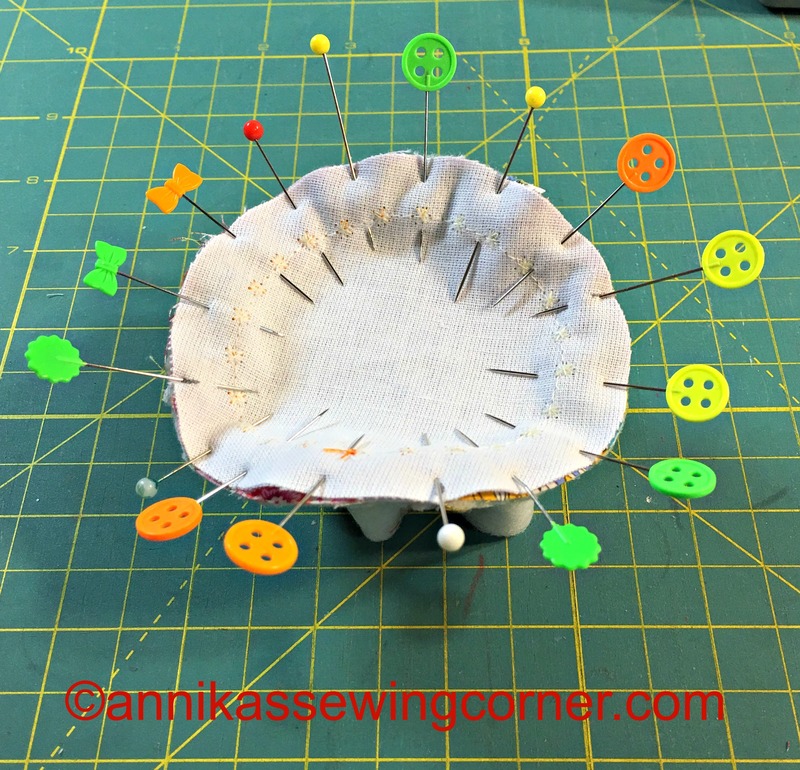 Sew a few stitches through the pincushion, going in and out on the middle marks. 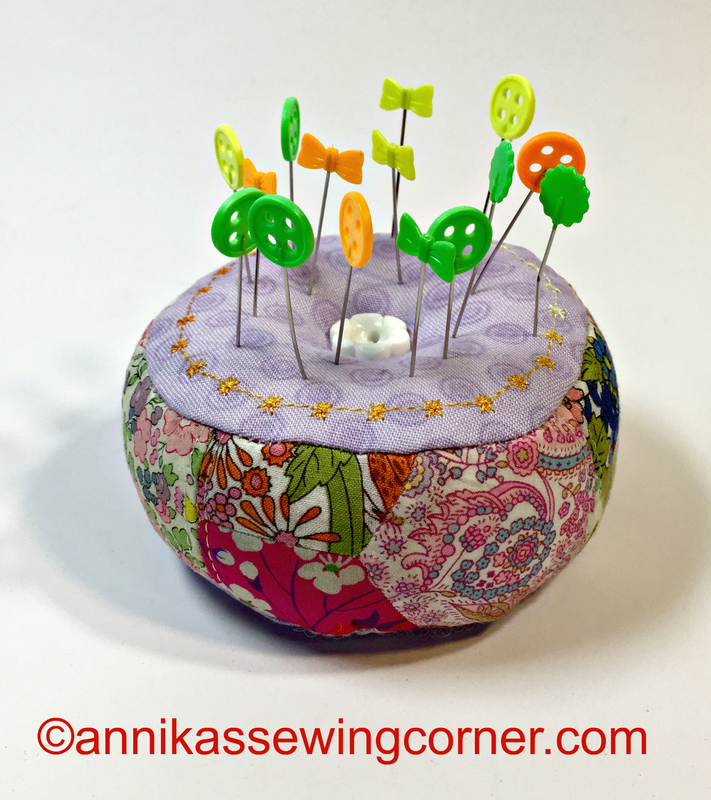 Pull it tight and tie off and hide the knot inside the pincushion by pulling it through the fabric close to the knot. 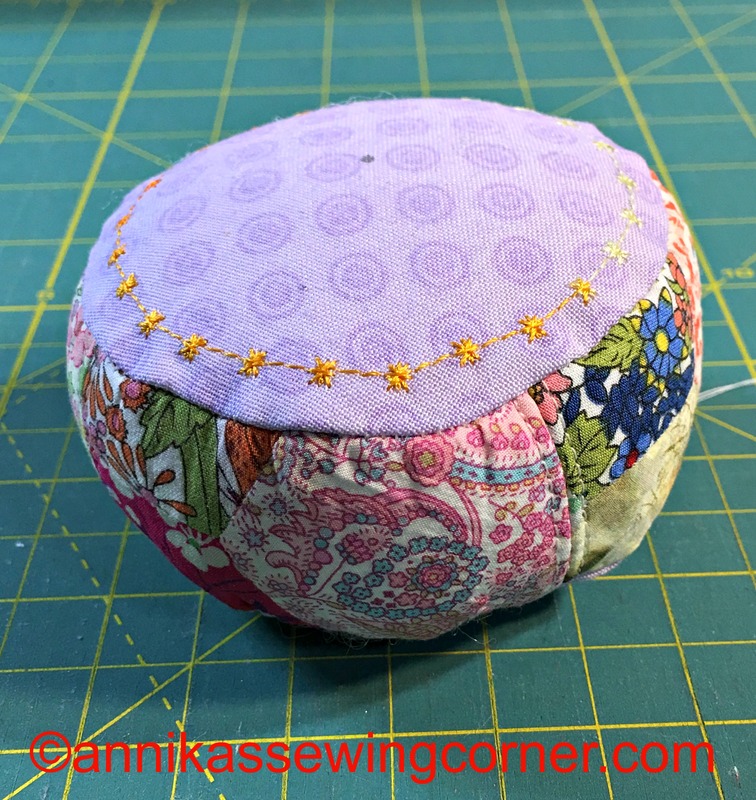 The bottom of the pincushion will look like this.